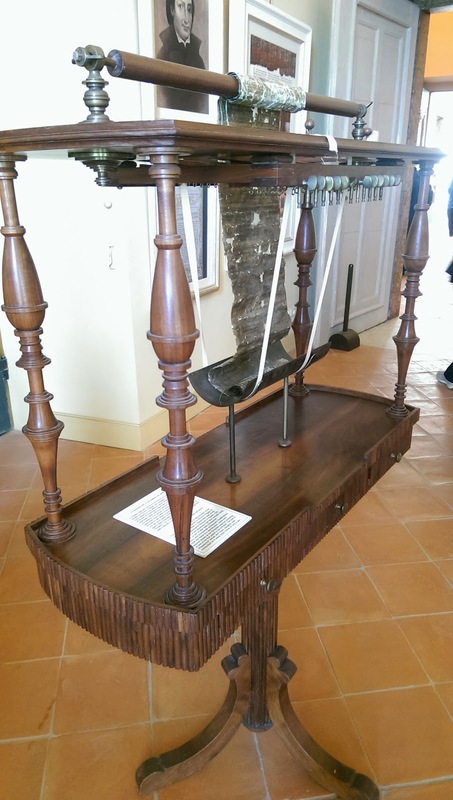 Last week I had a new experience - a visit to the Herculanense Museum in Portici. This is, of course, the museum that Charles of Bourbon constructed within the Royal Palace of Portici to house his collection of antiquities from Herculaneum. The Royal Palace of Portici is now home to the Faculty of Agriculture of the University of Naples (Federico II, I think), and for many years it was shut to the public. However, several museums can now be visited here, including the Herculanense Museum, which has been open since winter 2013. 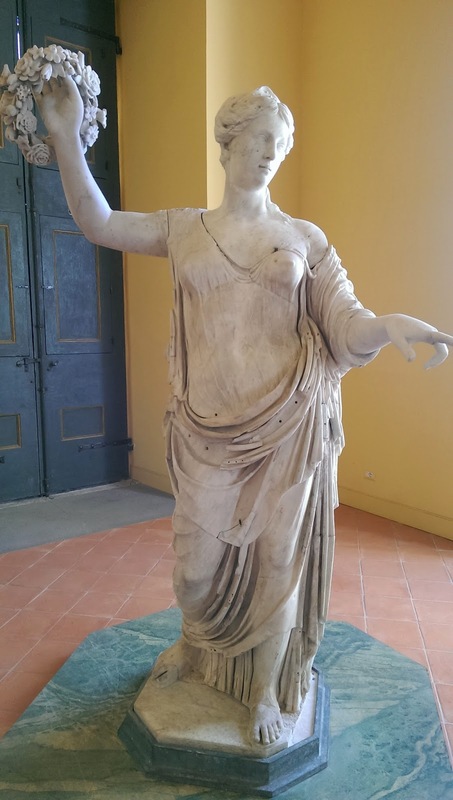 Obviously you can't see any of the antiquities from Herculaneum any more, since these were moved to Naples in the 18th century, but nevertheless it is extremely evocative to visit the original rooms of the Herculanense Museum. In particular, one room contains back-lit copies of all the ancient paintings that used to adorn it (apparently all in their original places). Also on display are original 18th century books about the excavated antiquities, including Winkelmann and Cochin, and what look like original plans of buildings like the Villa of the Papyri, and the Villa of Diomedes and the amphitheatre at Pompeii (but I don't know if they are actually the originals - but they do look old!). 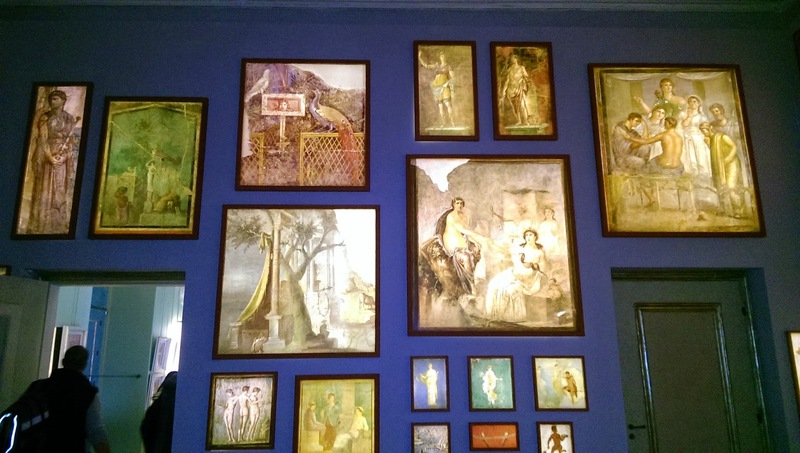 There are lots of plans illustrating where some of the most well-known artefacts from Herculaneum were displayed, and panels about the early excavations and some of the characters who directed them, such as Paderni, and about early restorations of statues, and the early attempts at unrolling papyri (including a replica of Piaggio's machine). You then get to walk through the king's apartments, which are next door to the museum, and which were redecorated by the Murats. I share some photos here - but really you need to go and visit the Museum for yourself. 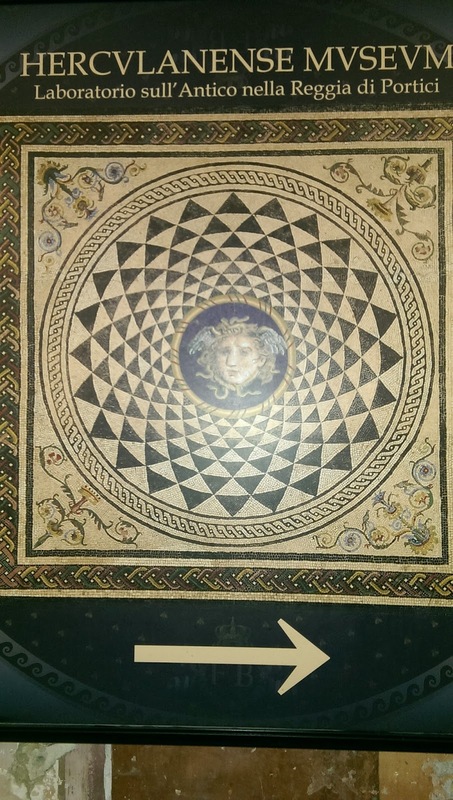 It is definitely worth a visit, AND it's only a five minute walk from the archaeological site of Herculaneum. Check out the visitor information here. Royal apartment decorated by the Murats - note the 'G' and the 'C' in the corners!